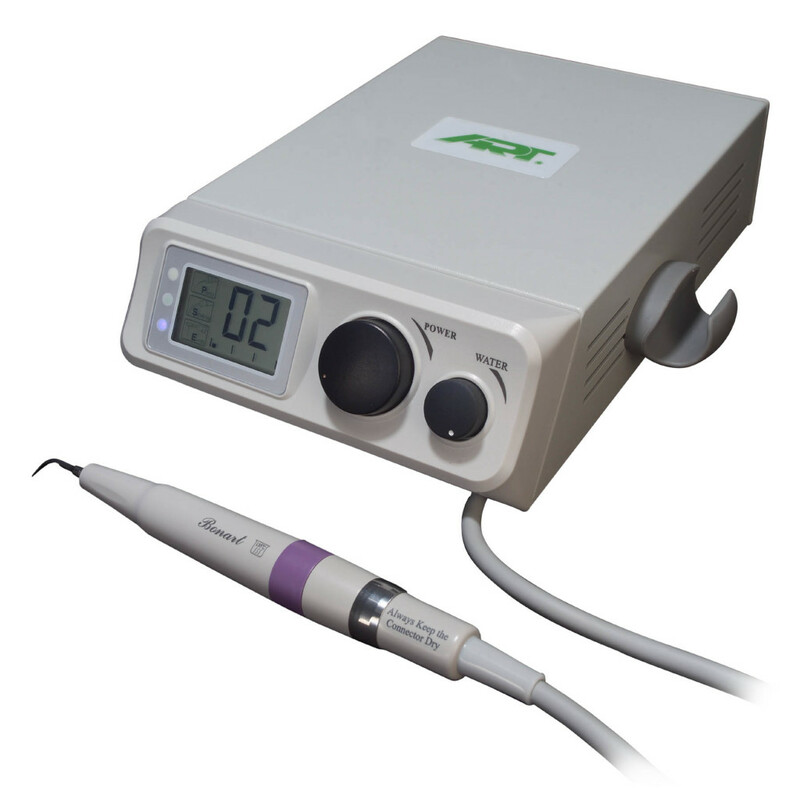 The Pelican Piezoelectric Scaler is the 2nd series of the original ART-P3 with new and improved features. The Pelican comes installed with Auto Gain Control that adjusts power settings for optimal performance, and has 3 modes of operation: Scaling, Perio, and Endo. While larger than the Piper (ART-P6), the Pelican has a built in LCD screen for displaying power settings and modes. Power and water flow are adjusted through knobs located on the front of the scaler. Included accessories may vary per region.